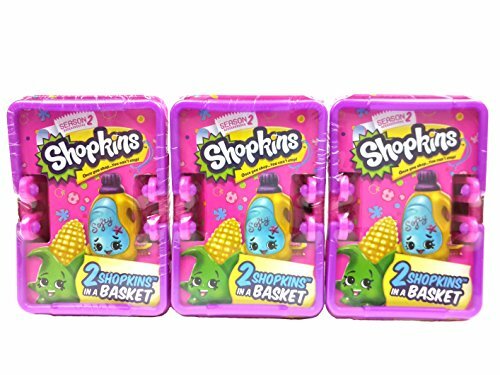 Kick-start your Series 2 Shopkins collection with the 5 Pack. 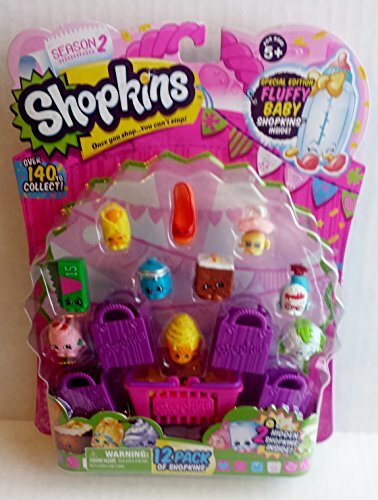 Shop Away! 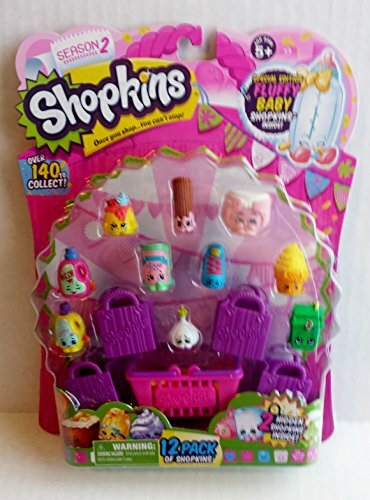 Over 150 to Collect. Style Guide Included. 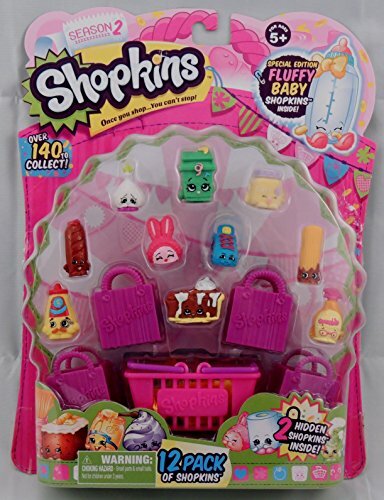 Includes: Carrie Carrot Cake (2-046) *RARE* Heels (2-107) Poppy Corn (2-061) Slick Breadstick (2-044) Plus a Mystery Shopkin! 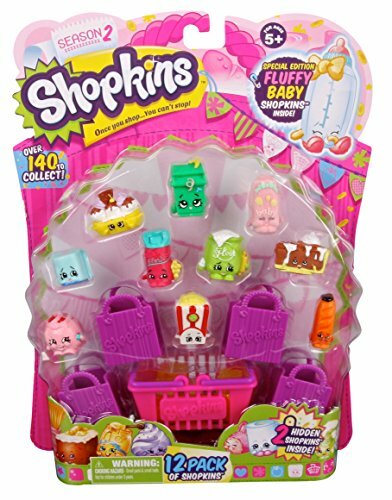 Shopkins are the super cute, fun, small characters that live in a BIG shopping world! 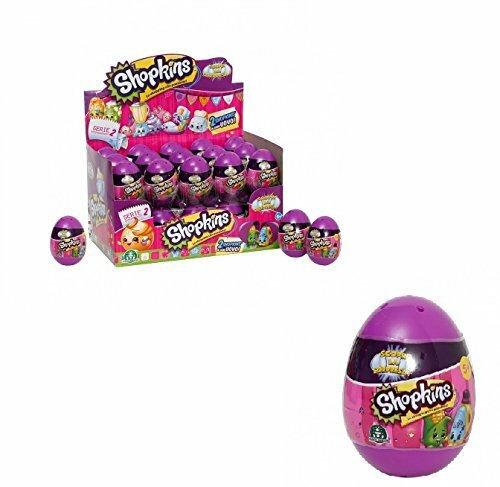 Kick-start your Shopkins collection with the 20ct Mega Pack! 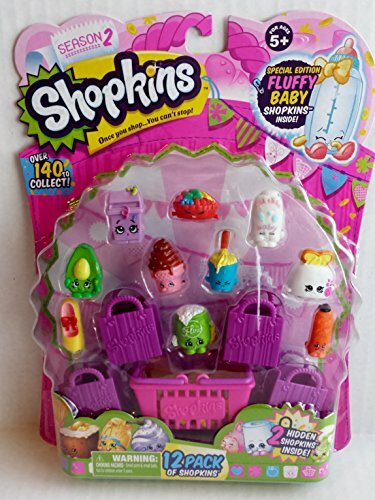 Collect all of the super-cute Shopkins characters and you might be lucky to find some rare characters too. 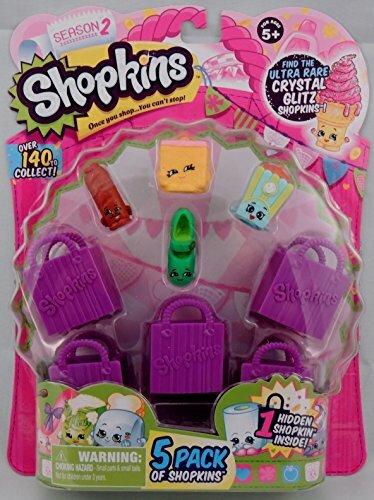 Kick-start your Series 2 Shopkins collection with the 5 Pack. 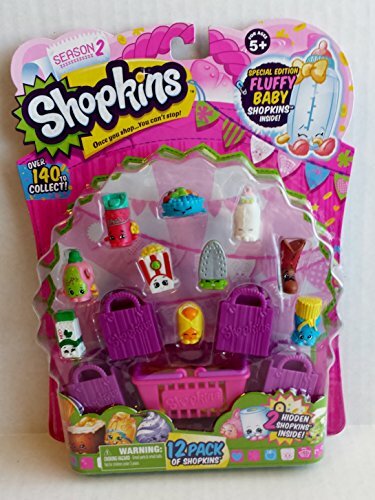 Shop Away! 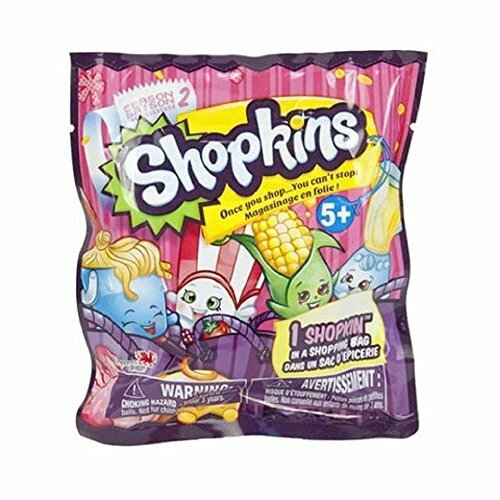 Over 150 to Collect. Style Guide Included. 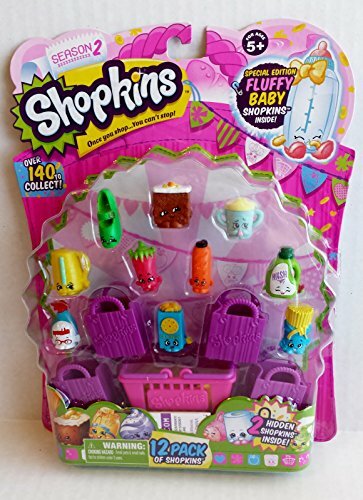 Includes: – Bart Beans (2-070) – Betty Boot (2-117) – Bree Freshner (2-090) – Juicy Orange (2-011) – Plus a Mystery Shopkin! 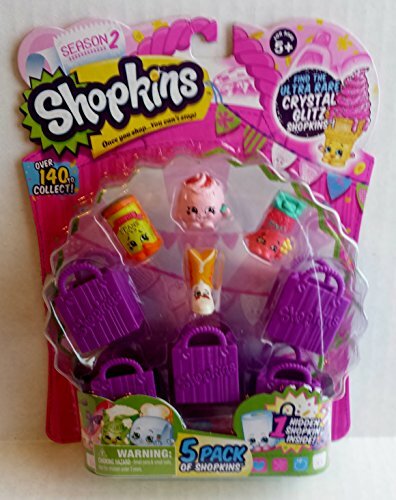 Shopkins are the super cute, fun, small characters that live in a BIG shopping world! 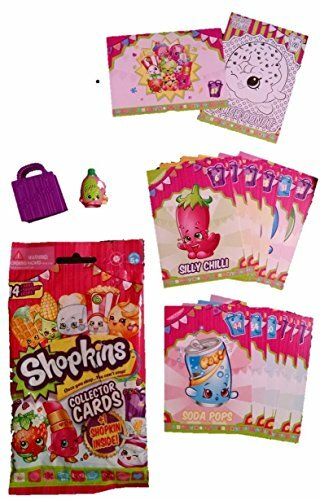 Kick-start your Shopkins collection with this value pack! 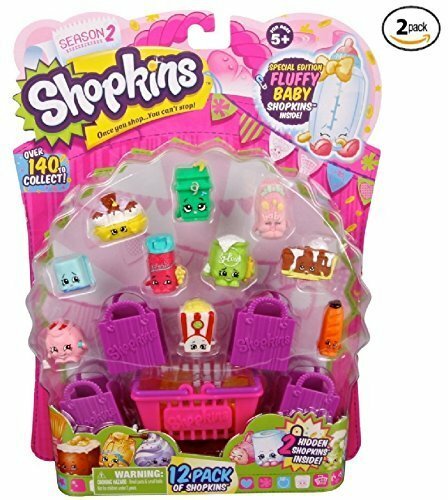 Collect all of the super-cute Shopkins characters and you might be lucky to find some rare characters too. 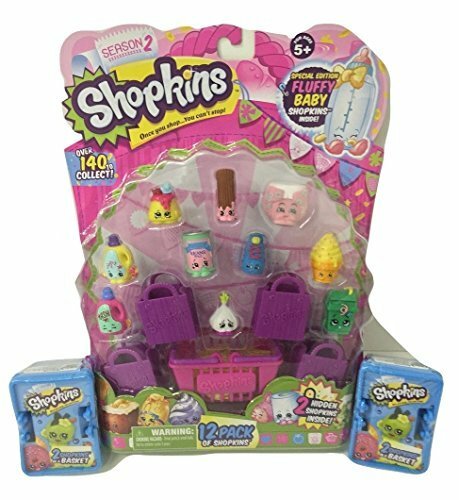 Kick-start your Series 2 Shopkins collection! 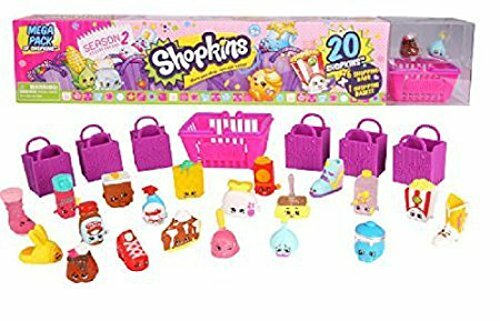 Shop away with the Shopkins 12 Pack! 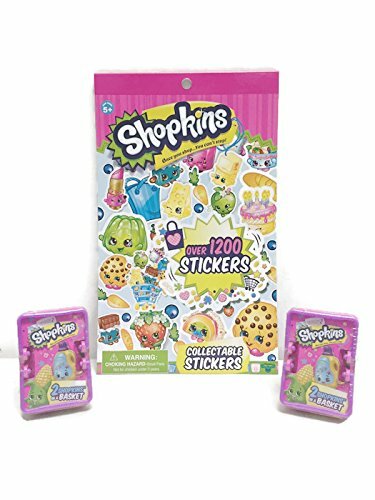 Over 150 to Collect. 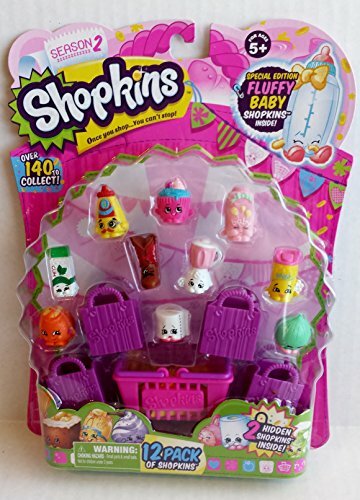 Style Guide Included. 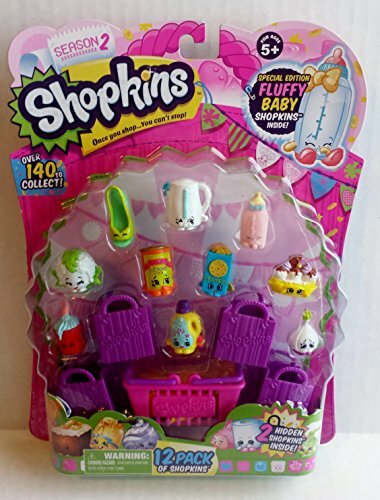 ONE shopkin with shopping bag in a blind bag. 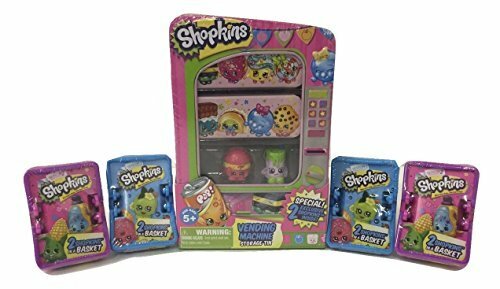 Shopkin is random.